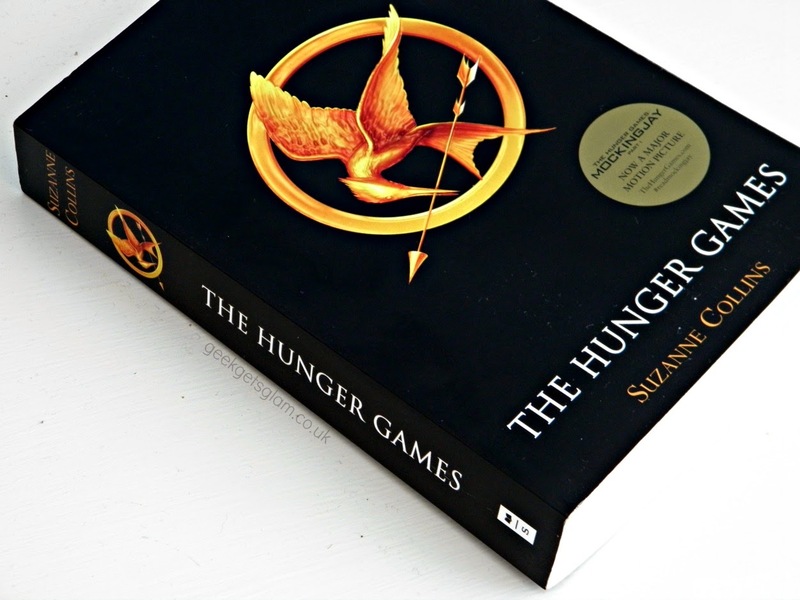 The Hunger Games is a book I tried my hardest to avoid for the worst reason - everyone I knew loved it. I thought it cannot be possible that a book can be that good that everyone likes it, especially as I had never heard of the author (what a book snob I am haha!) so I went out of my way to avoid The Hunger Games series. And then... I ended up watching the film. And became hooked. I always prefer a book over a film (well, most the time) so I thought it only right that I buy the trilogy and see what all the fuss was about! Was I impressed? The Hunger Games is a dystopian YA fiction, following the story of our protagonist Katniss as she faces being a contestant in the reality TV show called 'The Hunger Games'. Not too bad so far. Every year the districts of Panem have to offer up two tributes, a boy and girl aged between 12 - 18 years, to compete in the Hunger Games. Still doesn't sound too bad. To win the games, you have to be the last one standing. Literally. The contestant have to slay the other members in the arena to win. See why we don't want our main character in the games now? One of the thing that really struck me about this book is how much I dislike Katniss. It's written in first person and she is the narrator, and sometimes she comes across as a miserable, anti-social girl. I can see why she's got so much anger and you can empathise with her family situation/having to be part of the Hunger Games. I'm always a bit more intrigued in a story where you don't love the main character and it works fabulously in this book as I don't think we are all supposed to idolise Katniss by the end of the book. In fact when I first started reading I hated Katniss' attitude towards everything which interestingly was different to my opinion of her from the film. I also much prefer the character of Haymitch in the book - he is a lot more aggressive and nasty in the book but I think it is a better representation of the aftermath of being a part of the Hunger Games and the struggles the winners (and of course losers) have to get past. The plot itself is gripping and emotional; it deals with murder, dictatorship, poverty and is one of those books that makes you think about how cruel the society is that Katniss lives in. I know the book is a trilogy and I've seen the second film so I'm aware of what happens next but I much prefer the first book over the film! You get to hear much more emotion from Katniss and how truly horrific it is having to be a part of this killing-fest than you can get from the films. I can't wait to keep reading and, despite my resistance to it at first, I highly recommend The Hunger Games books!